García’s third (after The Aguero Sisters, 1997, etc.) 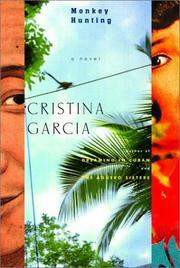 again lyrically portrays several generations of a Cuban family, this one with Chinese roots. In 1857, a Westerner in Amoy fools 20-year-old Chen Pan into signing on for indentured labor in Cuba, where “the women were eager and plentiful [and] . . . even the river fish jumped, unbidden, into frying pans.” After the horrific sea voyage disabuses him of such fantasies, Chen Pan survives more than two years on a sugar plantation, befriending some of the African slaves before escaping to Havana, where he prospers as a merchant and buys a young black woman who becomes his lifelong companion. Interwoven with the couple’s history are narratives about their granddaughter, Chen Fang, born in 1899 during her father’s brief sojourn in China, and their great-grandson, Domingo Chen, who immigrated to New York with his father in 1967. Chen Fang becomes a victim of Mao’s Cultural Revolution, and Domingo falls in love with a prostitute while serving in Vietnam, but their stories are sketchy and pallid compared to the richness of Chen Pan’s experiences in Havana, a city with a multicultural vigor drawn from the clamor of different cultures and races. In 1867, in Havana, “the vendors hawked fresh okra and star apples, sugarplums, parakeets, and pigs’ feet . . . [and] from the moment he arrived, [Chen Pan] knew it was where he belonged.” His descendants in China and America never belong in the same way, and their tales are left unfinished, though the novel hints at sad ends. Chen Pan, by contrast, survives the loss of his beloved Lucrecia to see dramatic changes in now-independent Cuba, and he dies drinking the red wine a friend had promised would make him immortal. Sometimes more interesting for its revelation of little-known aspects of Cuban history than for its revelation of characters, but Chen Pan lingers in the memory as a brooding, contemplative patriarch.